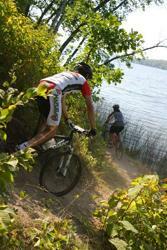 The Laddies Loppet Mountain Bike Event is held every Labor Day weekend at Maplelag Resort. This is a great event for the whole family with races and age categories for every type of rider. The entire resort is reserved for the mountain bike event. Lodging is available onsite and limited camping. (Note: You must and please register before the event for camping. No show up day of camping permitted. This will be strictly enforced.) We have a dirt jump track for the kids, bonfire Sunday night, swimming, canoes, and a great atmosphere. The race and course are designed and promoted by mountain bikers and was voted the race of the year in 2011, 2012 & 2016! We continue to add new singletrack every season. Racing action begins on Saturday with the traditional Series Cross Country races including Kids Comp, Citizen, Sport, Comp, Marathon and Expert/Elite. On Sunday we will hold our traditional Short Track races with Open Men's and Women's Classes in Kids Comp, Citizen, Sport, Comp and Expert/Elite. The Short Track racing will be held on a tight course winding through the cabins and trees near the lodge making for great spectating. The cross country races count for points in the series. For more information, visit the Maplelag website. Note: Canadian racers will NOT be required to carry a UCI license to race in the Minnesota Mountain Bike Series. The Kids Fun Race is designed to give children an opportunity to compete like their parents in a positive and fun environment. The Race is free to children ages 3 to 12. Parent cyclists ride and race with the kids, providing motivational and physical support. Race starts at approximately 12:45 PM! Helmets are required. Register on-site only by 12:30 PM. Prizes will be provided for 1st - 3rd place in each class for Kids Comp, Citizen, Sport, Comp, Expert, & Pro classes. Top finishing Elite Group (Experts and Pros combined) will receive cash awards. See the Series Guidelines for payout details. 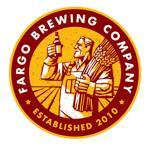 Maplelag is located in Becker County, 20 miles northeast of Detroit Lakes, MN, and about one hour northeast of Fargo-Moorhead. We are four and a half hours northwest of Mpls/St. Paul and four hours south of Winnipeg and four hours east of Bismarck. Located on Little Sugarbush Lake in a maple-basswood climax forest, prairie lands are just five miles west of us, with no forests to speak of until the Rockies. To our east and north, you will find a mix of aspen, hardwood and pine stands. Itasca State Park (the source of the Mississippi River), is less than an hour away. And, it is half an hour to the Tamarack National Wildlife Refuge. Maplelag is located within the White Earth Reservation boundaries. The surrounding area, which includes Maplelag, was settled by Finnish pioneers around 1918.